University is a big step, we all have to grow up at some point and do adult things like laundry. It’s a necessary tool to do your washing if you want to make friends at University – unless you want to be known as the student who turns their underwear inside out. It may take a while for you to settle into life at uni. Knowing how to do basic daily tasks can help you feel at ease and confident. So here are a few helpful tips. Lower temperatures help the environment and we all want to do our bit for nature, plus it saves money. However, stained clothes need to be washed as soon as possible otherwise you may need to wash them again. If you’re ill, always use a high temperature to kill germs – hangover illness doesn’t count though! Some powders are meant for colours and some are meant for whites, you can get washing powder that is suitable for both though. This can be quite expensive so make sure you hide it in your room or all split the cost and take it in turns to buy it within your flat or house. You also need to use fabric conditioner, it makes your clothes smell nice and feel softer. Also make sure you put the powder and fabric conditioner in the correct holes in the washing machine. If you put your jeans or anything brand new in the wash, be careful that the dye doesn’t come out. Don’t be tempted to mix whites and darks – even colour catchers aren’t 100% trustworthy. However, they are a good investment, particularly if you are washing your favourite clothes. Labels on clothes are important – they’re not just there for fun so make sure you read them as it’ll tell you whether they are suitable for washing machines, you don’t want to ruin your favourite top! Wash clothes inside out – this will help colours in clothing to run less and keeps the patterns on your favourite outfit. Use washing bags to make sure your delicate clothes don’t get ruined. These are available on Wilkinson’s or search online for some cheap ones. You’re an amateur and make sure you explain this or things could get tense, because you do not want to ruin their clothes – especially not their favourite dress. Plus you don’t want to get stuck doing their washing all the time. If you don’t dry your clothes properly they will smell. They need to be hung outside on the washing line for a few hours, make sure you check the weather though. Or hang them for at least a few days inside, however the heating needs to be turned on in order to get the moisture out and to avoid damp occurring in your University house or halls. You might want to invest in a clothes rack when you first get to University. There will be either a coin operated machine downstairs in the lobby, this means you will need to constantly be saving for coins – don’t keep spending them and always ask for change when you go shopping. 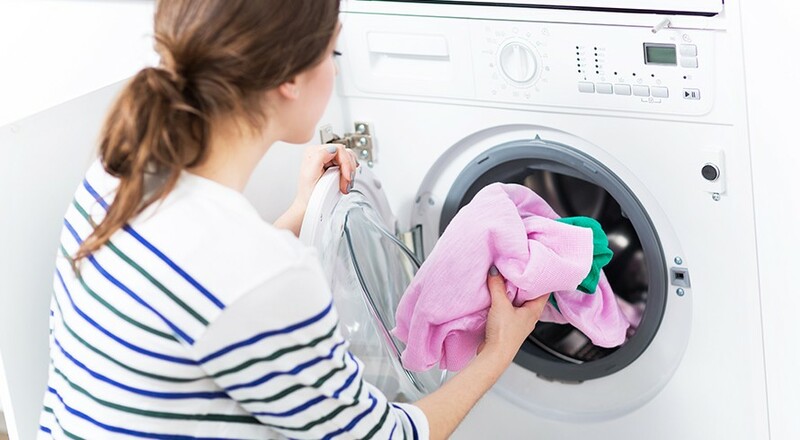 Some Universities also offer a laundry card which you can top up, however this will often need to be registered for first so make sure you ask reception when you first move in.